← Hey, boys. I have a dating blog. Want to go out with me? Second. Believe mi [sic], sir. No one understands how much of a shame it “is a really” more than yours truly. I am a “nice and sweet girl” (except for first thing in the morning. My morning rage is legendary). And I have wasted what probably adds up to a frightening amount of time dealing with “losers here”. Preach. Okay, that was truly beautiful but back to the message. I appreciate the solidarity, Italian stallion. I really do. I appreciate that you seem to understand my single gal plight. Because the fact is, that animated Disney date featuring two dogs was more lovely and romantic than anything I’ve encountered on Okc thus far. The problem is, you didn’t follow this observation up with anything constructive. Are you trying to say, in broken English, that you’re different than the average run of the mill Okc loser? 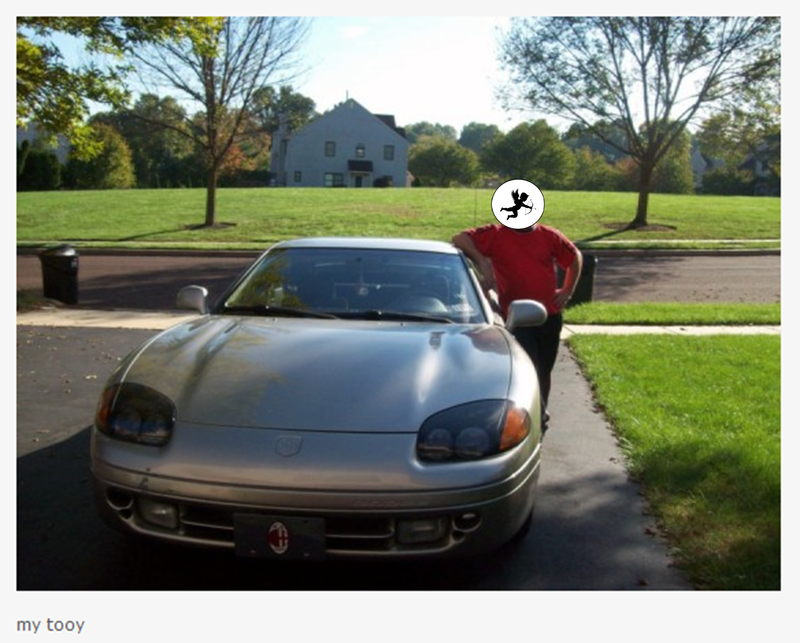 Well that’s great, except your profile pictures all feature you creepily posing with various foreign cars while wearing Adidas track pants in front of a house that I’m 78% sure isn’t yours. I promise there are two more glamour shots where this came from, I’m just too tired/lazy to add them. So anyway I’m not sure, given this evidence, how likely it is that you’ve broken the douchebag mold and are in fact the breath of online dating fresh air I’ve been waiting for. Verdict: I think I’m going to have to waste a little more time with the losers here. Still holding out hope for my very own Bella Notte. Waw waw waw, indeed.